Tickles, described as a sorrel colored draft horse, first became known to the public when the NY Daily News reported on Feb. 23 that he had been euthanized in his stall "after an accident left him with a fractured leg." According to the newspaper, it had happened a few weeks prior. Seemingly trying to get in front of and control the issue before it got out of hand, the News claimed that the Department of Health vet consultant Dennis Farrell, the vet of record, called it a "freak accident." Using the Freedom of Information Law, I requested information from the Department of Health (DoH) about Tickles. The information received, which was supposed to be "everything," raised more questions than it provided answers. Tickles was estimated to be 18-years old with a nominal birth date of 1/1/97. It is nominal because horses like Tickles are not "important" enough to have papers with an exact birth date. It is only an estimate. 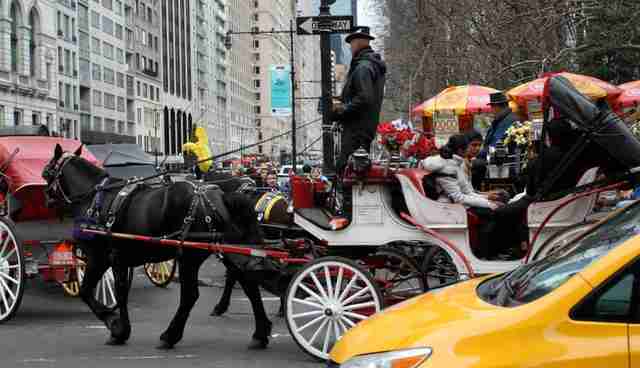 According to the available records, Tickles came into the New York City carriage trade when he was about 12-years old. This "beloved" horse was owned by Finbar Flood who called him Barney - ID #3431 - and then sold him to Dina Tornabene on 2/21/11 for $600. 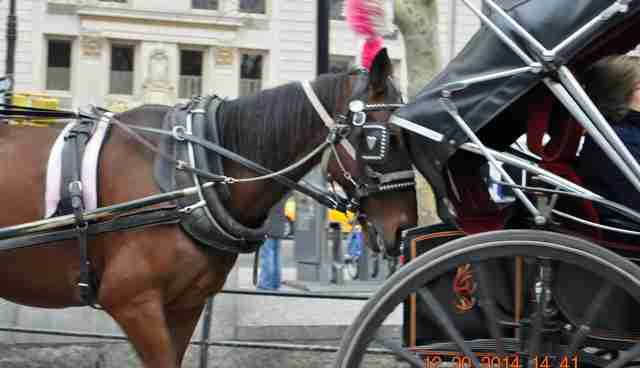 His name was changed to Tickles and his new engraved hoof number became #3680. An internal e-mail dated 2/24/15 at 12:39 pm from Sam Miller, Associate Commissioner at the Department of Health, and sent to the head DoH honchos said that the "horse appeared to have become cast (stuck on the ground too close to the wall of the stall to get up) and had fractured his left front leg, which likely occurred during his struggle to get up." He provided this link to an article entitled "Help Your Cast Horse in Your Horse's Stall," which describes what this means and how to help your horse. It is not uncommon for a horse to get cast in a stall regardless of its size. 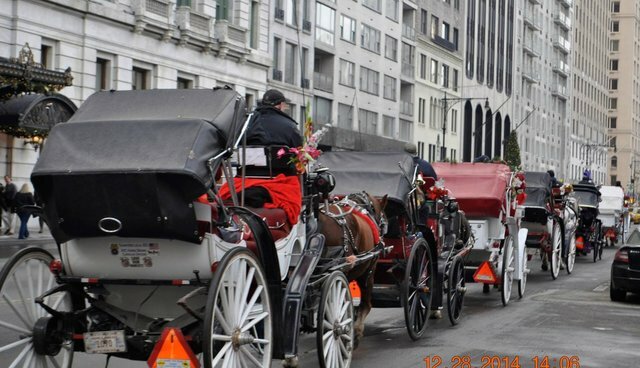 However, it should be noted that the New York City carriage horse stalls are small and need only be 60 square feet when just about every equine expert recommends at least 144 square feet for a standard bred and much larger - 196 square feet - for a draft horse, which Tickles was. On March 4, Farrell followed up on his letter head but saying basically the same thing. Why should we believe that Tickles got cast in his stall - just because they say so? 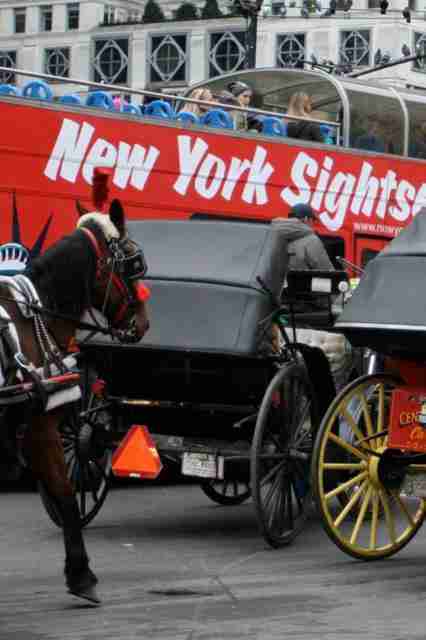 A horse who is cast, would have been thrashing, kicking and making a racket in a desperate attempt to get up. Why didn't any of the stable employees or the manager hear this? We are told there is always someone at the stable.